My latest novel, The Sons of Jude, was inspired by a quote from Sean Connery’s character in The Untouchables. In the movie, Connery says that St. Jude is the patron saint of lost causes – and policemen. A bit of research revealed that St. Jude is also the patron saint of the Chicago Police Department. 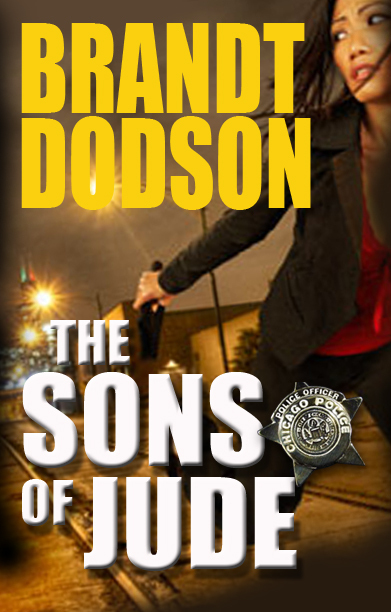 When I wrote The Sons of Jude I wanted to tell the story of a working cop. I did NOT want to write a police procedural. Instead, following Joseph Wambaugh’s approach, I wanted to tell the story of how the job works on cops, rather than how cops work on the job. Being a police officer, regardless of the department, town or city, is a difficult, often thankless job. Every police officer knows that each day on the job could be his/her last. Going home alive (see the aforementioned Connery character) is job one. And every officer knows that success today does not change the landscape for tomorrow. The battle against good and evil, of maintaining order, begins anew the following day. I’ve tried to capture a bit of that in The Sons of Jude. I’ve tried to capture camaraderie that exists among any group of people who face a common danger and the pitfalls that often exist when such danger is faced on a daily basis. Our police officers face a difficult task, so thank one today. Maybe you can pick up the tab if you see an officer or group of officers having lunch. It’s a nice way of saying “Thank you”.